Wow – this is an analog drum machine and you do not need tweezers to control it. 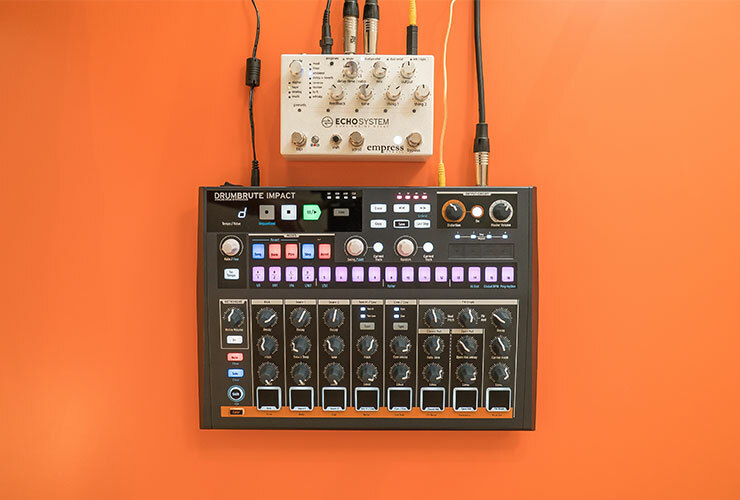 DrumBrute Impact outruns its competitors on the market and offer proper sound quality, functionality and versatility, so you are going to want to use it in studio as well as during performances. 10 different drum sounds can all be tweaked thanks to programmable “Color” function. Sequencer holds 64 patterns, each up to 64 steps, and each drum track can be any length you like – this allows you to create polyrhythms. DrumBrute Impact has Roller mode for drum rolls, Song mode for pattern chaining, real time effects like Pattern Looper (beat repeats) and Step Repeat (looping glitch effects). 4 individual audio outputs with additional master mix output gives you the ability to record multitrack audio to your DAW. Dynamic interest can be added to patterns with the help of Accent (for each track) and Swing (for pattern or each track) functions. 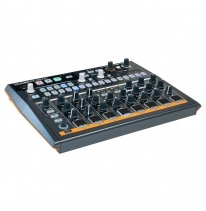 This was just a brief summary of DrumBrute Impact potential, and we feel like we are looking at a budget-friendly bestseller here.